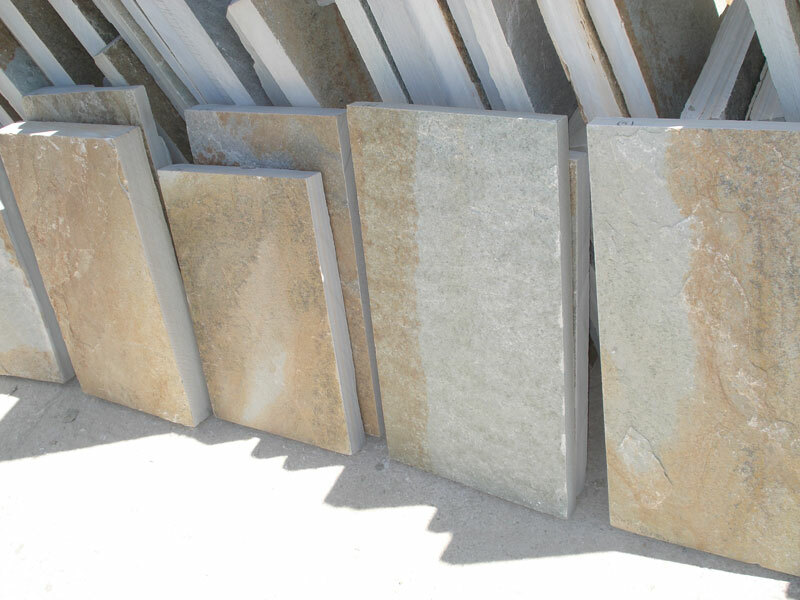 They are specially processed Pelion slate plates, in beige, ochre, blue and shades thereof. 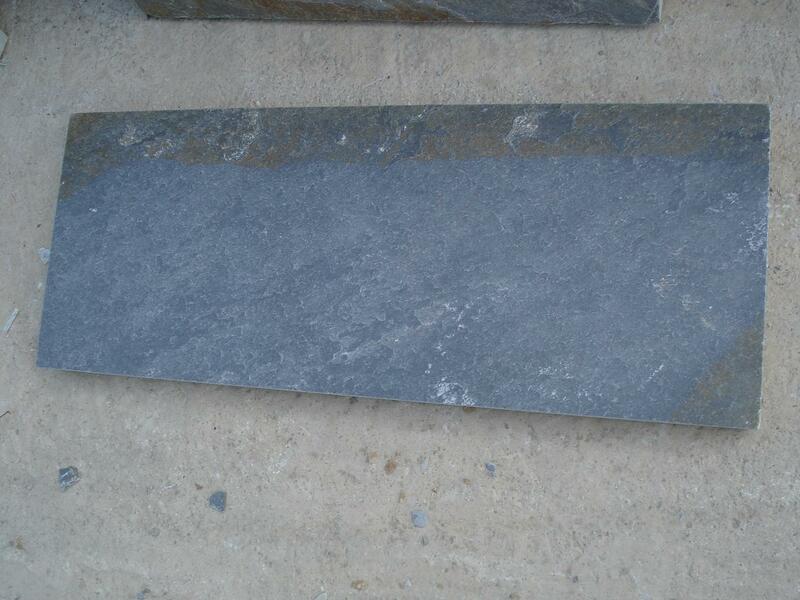 Usually the thickness is 3 cm and the width 32 cm, with the length as per customer's order. 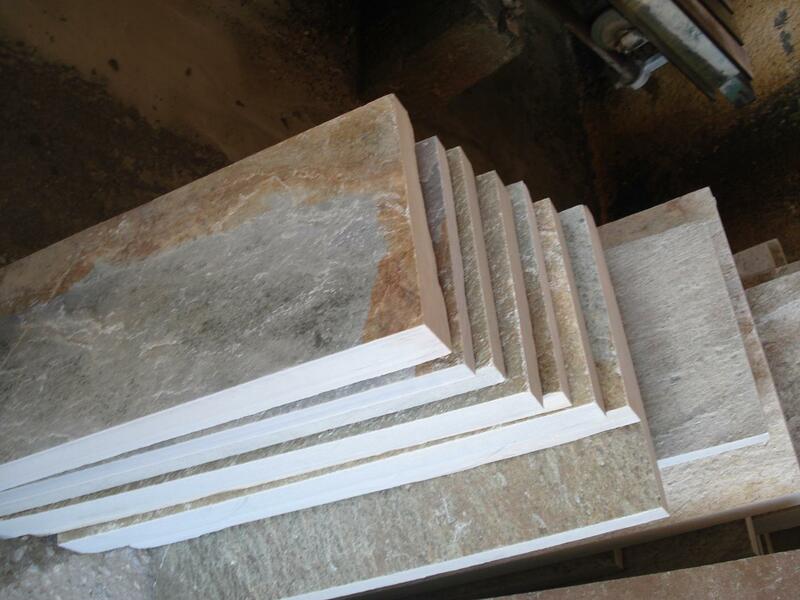 They are weather resistant so can be used in internal, as well as external staircases.